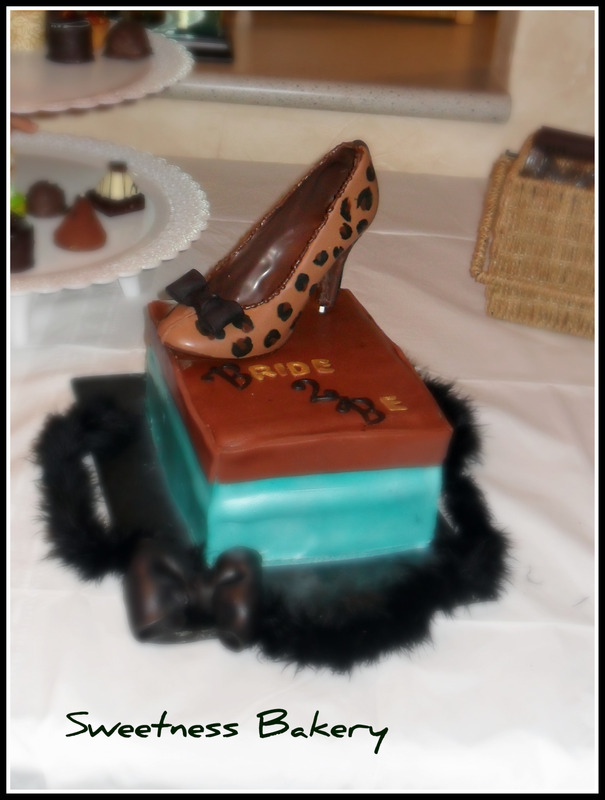 Posted in cakes and tagged animal print, bridal shower, leopard, shoe box. Bookmark the permalink. Decadent chocolate cake and moist vanilla cake are joined by fresh strawberries and cream with Valrhona chocolate pearls and covered in Madagascar vanilla buttercream. YUM! Posted in cakes and tagged animal print, boa, bow, girls, leopard, pink, zebra. Bookmark the permalink. What to do when an ordinary yellow will just not do…why, animal prints of course! This was done for a mom to be that is very fashion forward. The cake is black magic (moist chocolate) filled with bananas and a fluffy buttercream. It is topped off with a hand crafted one of a kind leopard carriage. Now, thats hot! 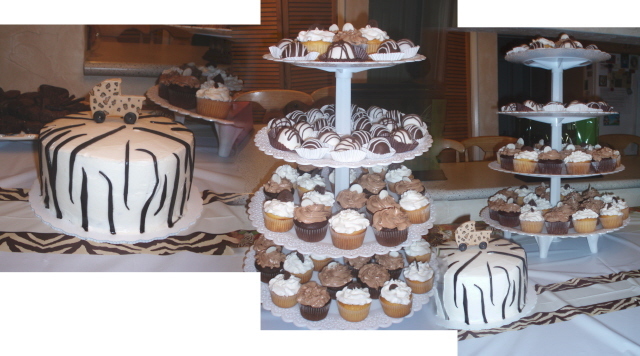 The adorning cupcakes are double chocolate chip topped with mocha buttercream and white cake with buttercream. The truffles are redvelvet. 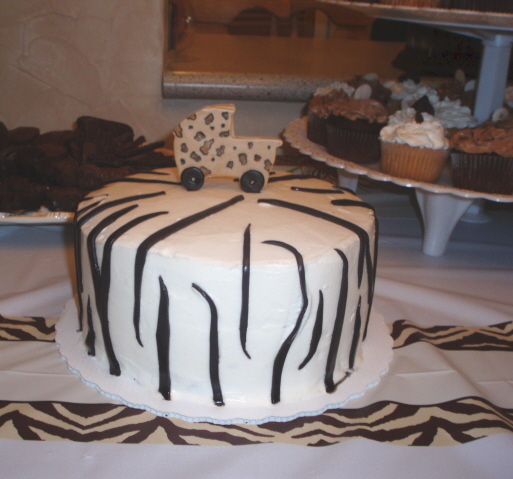 Posted in cakes, cupcakes, truffles and tagged animal print, baby s, baby shower, cake balls, chocolate cake, leopard, zebra. Bookmark the permalink.